I must start this review with the admission that yes, this album was released nearly a month ago. By the typical reviewer’s standards, I am behind the ball. 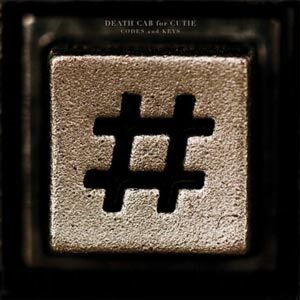 But, for me, a new album by one of my favorite bands – and Death Cab for Cutie is most certainly among my list of faves – must be experienced, not just listened to. This sacred process cannot be rushed. I like to take my time, soak it all in and let every line, every chord, every sound flow through me. That’s what I did with the band’s latest effort Codes and Keys. And my old pals from the dreary Pacific Northwest did not disappoint. Any of you fine readers who have experienced Death Cab know they aren’t the jolliest folks around. I actually read an article once where lead singer and main songwriter Ben Gibbard was labeled as one of the “Top 10 Saddest Rockers.” But I like to think of Ben and his bandmates as soul-searchers. It’s not really that they’re sad – they’re just in tune with the human experience, and perhaps a little more sensitive to the bumps we all encounter along this road of life. I personally think Gibbard is one of the most talented songwriters of my generation. His lyrics read like poetry. Death Cab songs don’t always follow the standard format, and to me they are like a tapestry – different pieces woven together to make something beautiful. Needless to say, I was very excited when I heard they were coming out with a new album. Most fans hail 2003’s Transatlanticism as the band’s greatest effort and, while I’m crazy about that one, their very best in my eyes (and, I guess, my ears) is the follow up to that – 2005’s Plans. If you have never heard the beauty of those 11 songs, please do so. It will change your life. From learning that “your love is gonna drown” in Marching Bands of Manhattan, to hearing Gibbard sing of “a melody softly soaring through my atmosphere” in Soul Meets Body, to learning what love really is in What Sarah Said – every song on that album is beautiful. And don’t even get me started on Brothers on a Hotel Bed! As a sidenote, long ago when sweet Robert and I became pals, he asked me to recommend a CD for him to listen to during a long drive. I pretty much threatened his life if he didn’t go out and buy Plans. I wonder if he remembers that. He should be thanking me! In 2008, Plans was followed by Narrow Stairs, which was a lot different from any of Death Cab’s previous work, but still very good. Gibbard has actually called Narrow Stairs their darkest album. One thing Death Cab does like nobody’s business is put devastatingly sad lyrics together with upbeat music. They do it amazingly well with I Will Possess Your Heart and No Sunlight, among others. It’s weird…when I listen to those tracks, my mind always retreats to a place of sadness and solitude, while my body comes down with Boogie Fever. It’s quite disconcerting! But, I digress (as Nick loves to say). 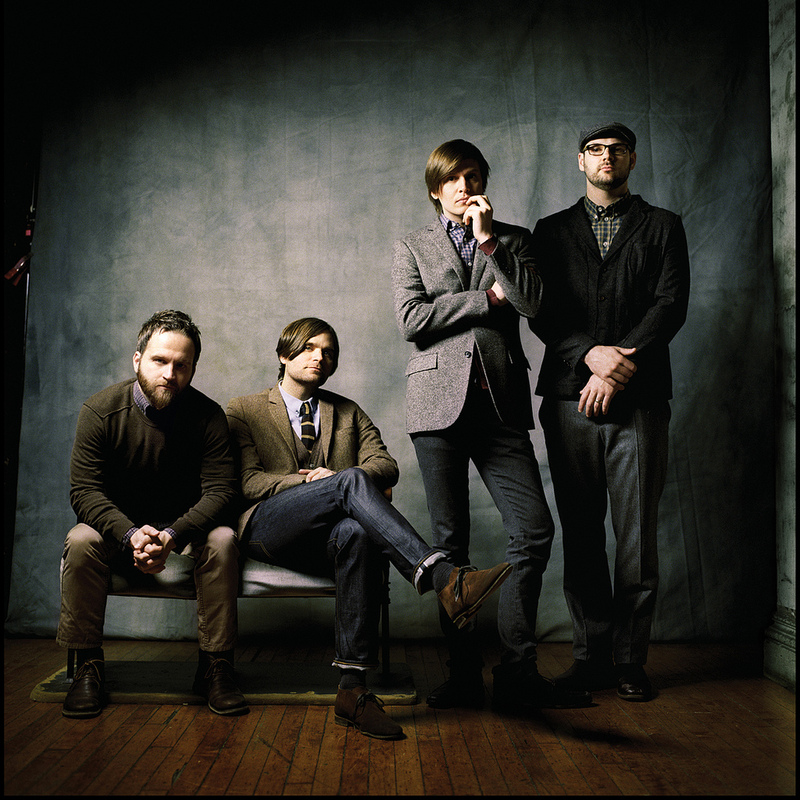 Codes and Keys is, once again, a big shift in sound for Death Cab. But the shift is most definitely good. I remember catching them on VH1’s Storyteller’s in May and hearing the album’s title track for the first time. It’s a bittersweet song, filled with some sadness, but so much compassion and hopefulness at the end. I fell in love with it as soon as I heard it – Ben Gibbard’s voice pronouncing each word in that clear, careful way he has perfected, with Chris Walla singing emotionally in the background. At that moment, I knew, I just knew, Codes and Keys would be an amazing album. It kicks off with Home is a Fire – which has a very subtle sound at first, but picks up and makes me feel like hitting the open road. The band also tackles the seemingly impossible task of figuring men out in Some Boys. In You Are A Tourist, the first track released, Gibbard says “when there’s a burning in your heart, build it bigger than the sun. Let it grow. Let it grow.” How in the whole wide world can anyone argue with that?!? The album wraps up with Stay Young, Go Dancing, a song reminding us of the wonders of being in love. Codes and Keys tells us that whether its life shifting around us, or out from under us, or from within us…nothing ever stays the same. And that is a good thing.